Speedo’s Autoblast Machine for Piping is the most appropriate surface treatment equipment available in the surface preparation industry for blasting raw steel profile & pipe external surfaces. The equipment is capable of providing the necessary blasting standards by removing surface rust, weld seams and oxidized surface through its powerful wheel blast system. This not only removes rust and unnecessary attachments on the metal surface, it also creates a profile, which increases the adhesion performance of the paint coating applied. 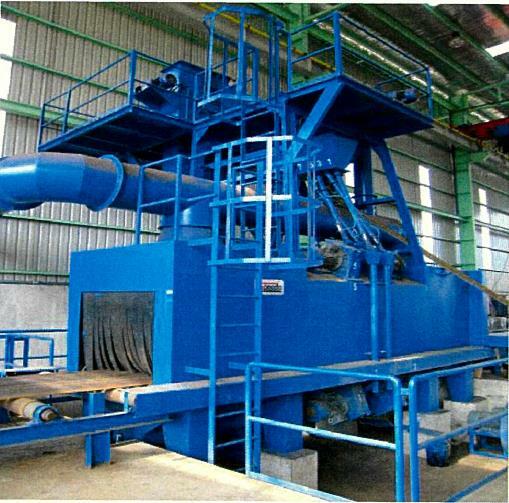 This machine is specifically designed for raw material steel profile & pipe blasting at an economical package to meet the investment returns for clients in need of meeting their pipe & profile treatment operations. It has served a wide range of industries ranging from heavy steel fabrication, rail tracks, engineering construction, bridge construction, marine and offshore etc.